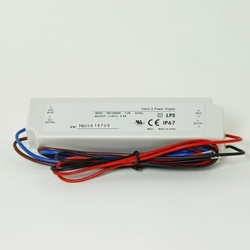 Outdoor grade electronic power supply. Ideal for LED lighting for exterior applications, signage, concealed installations, cabinets. Not dimmable. Good choice for applications needing hard wiring the power supply as opposed to plugging into wall outlet.